The band teamed with legendary rock producer Brendan O’Brien, who has worked with Bruce Springsteen, Pearl Jam, Stone Temple Pilots and Denver’s The Fray, to cull a new vibe from the Atlanta-based band. 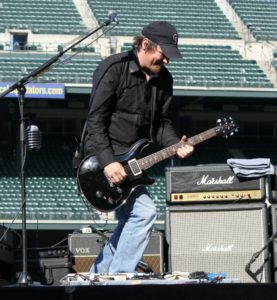 “I thought with us working with Brendan O’Brien, this rock producer, that (the new record) would be more of a rock sound,” Third Day guitarist Mark Lee explained, “And we are a rock band, so there are those kind of elements, but I think Brendan really helped pull out some more pop sensibilities that we haven’t really tapped into lot … more hooky background vocals, keyboards and different things like that. Third Day's Mark Lee says the band's new CD gives listeners "new textures" under producer Brendan O'Brien. With O’Brien’s help, fans will recognize Third Day in “Miracle,” but as bassist Tai Anderson explains, it’s a new chapter to the band’s story as the guys try to keep things fresh. “That’s the biggest thing, it doesn’t sound like any of our earlier records,” Anderson said, “and to normally pull that off people go to a gimmick ... it’s a country record or it’s electronic record. They are doing something totally outside their genre. For us, we’re playing our instruments, we’re being Third Day, but we made a record that sounds fresh. And it doesn’t sound like we are covering earlier Third Day music. “I think the longer you are around as a band that it’s harder to do that. Everything becomes… like it sounds like that song. This is something new. We are starting a whole new chapter. It’s definitely fun. And breaking down some of those walls might just be what propels Third Day into the realm that Switchfoot and The Fray have crossed. Mark Lee, left, and Tai Anderson clearly enjoy playing at Coors Field during Faith Day 2012. “With Mac, he’s in a season where he wanted to have some fun and play some music that didn’t fit with Third Day,” Anderson said. “Mac is such a sports guy, for him it’s like a challenge. Can I do this? Can I go couple of rounds in this other world? We are really proud of Mac. It’s really hard to just go out and make a record. He has written all these song and they are really great songs, but I don’t think any of them would fit on a Third Day record, because they don’t fall under our mission statement. But they are all great, fun songs. He’s going to have a blast out there. It’s a both an 'and situation' not an either/or. Third Day is going strong, and Mac is doing his thing." This entry was posted in Christian Artist profiles, Christian Music CD Reviews, News and tagged Atlanta, band, Brendan O'Brien, bruce springsteen, christian music, christian rock, Mac Powell, Mark Lee, Miracle, rock 'n' roll, Rock and roll, Stone Temple Pilots, Tai Anderson, The Fray, Third Day. Bookmark the permalink. 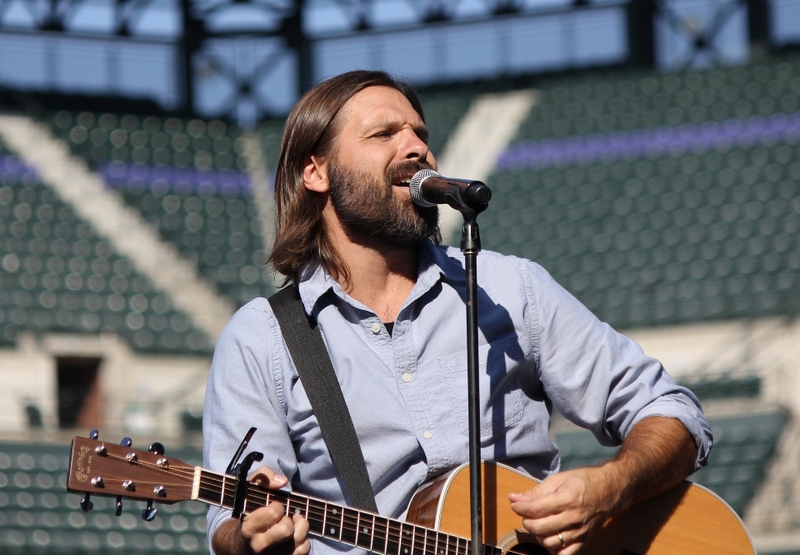 I just saw Third Day yes­ter­day after the Rock­ies’ game in Den­ver, and “y’all” sound­ed amaz­ing! I love see­ing you per­form live shows, and I love the inti­mate venues (saw you last year at Elitch’s, too); but the best place to see my #1 band would be Red Rocks Amphithe­atre in Mor­rison — it would be a slice of heav­en 🙂 Can’t wait for your new C.D., and hope you’ll be back in Den­ver again soon! No mat­ter what you sing, Mac, thank you for shar­ing your heart for Jesus! God Bless!! Can’t wait to hear his solo stuff! I am such a big fan of Third Day and I keep watch­ing the video for I Need a Mir­a­cle on their web­site!